It is clear that China and Indonesia are the two most likely candidates for the next disaster to strike, with a China having a lead. 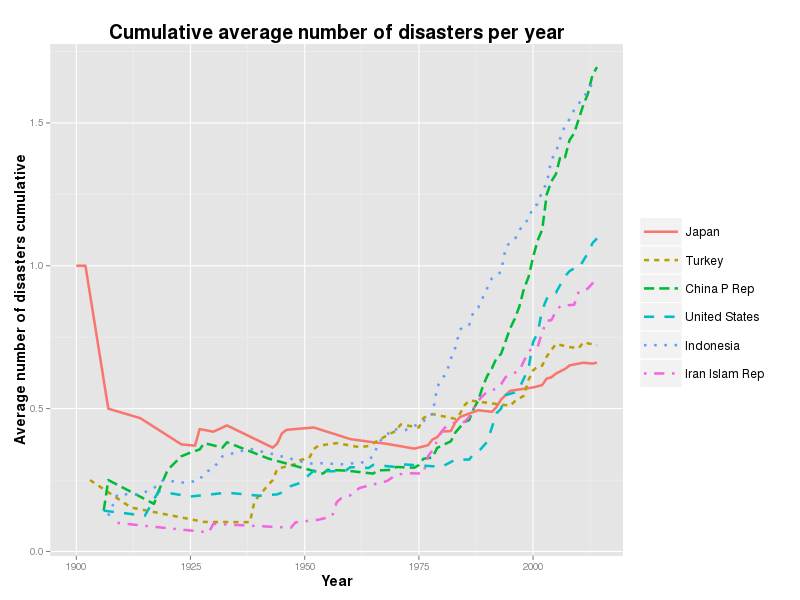 I’m not ready to provide insight on the reasons of the increasing number of natural disasters in the countries at the plot now (especially for Turkey and Iran). Maybe it is just that the events become documented more often?… It should be investigated further. Here is the code to create the plot above. ‘sqldf’ package was really helpful for divide data for the short list countries from the rest of 180 countries.